Google Android has been able to capture the market mainly due to its ability to come up with an operating system like Android. This platform was lapped up by the users mainly due to the many apps as well as its affordability. 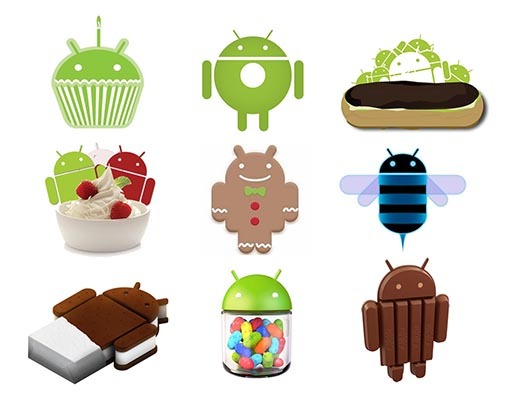 However, the going has not always been a smooth one for Google considering that they have had to come up with improved versions starting with the Ginger Bread one to Ice Cream Sandwich to Jelly Bean and now to Kit Kat. If there has been one issue rolling out these versions for Google, it has been the pace. Google was smart enough to rope in the best of handset makers to support its Android platform and make affordable handsets available in developed and developing markets. But it has not been able to ensure the roll out or implementation of its improved platform version updates in a uniform fashion. Consequently, there are about 20% of the handsets running the latest Kit Kat platform while more than 50% still run on Jelly Bean. Both Ice Cream Sandwich and Ginger Bread versions still continue to exist despite being in operation for more than 4 years and that is something Google needs to address quickly. It needs to be said though that the entire blame cannot be put on only Google. The OEMs manufacturing the handsets also need to take the blame. They too have not exactly been very keen to implement updates on an urgent basis and have been content to push sales of handsets bearing earlier versions. They have been content with sales numbers and have not bothered much about bringing the latest to consumers. It is interesting to note that the Nexus brand of phones were the earliest and fastest to roll out Kit Kat on their phones. Considering that is a Google brand, it is not surprising. They rolled out Kit Kat within a fortnight. Motorola was next in rolling out the Kit Kat update within 20 days. The fact that Motorola needed to focus only on a few devices seems to have helped them. Motorola also does not attempt making changes to the Android framework and is therefore able to make do with less porting hassles. HTC is not very far behind either. They could put Kit Kat handsets out into the market within a month. The company also hosts a dashboard that provides information on software updates. It has made a brave commitment of shipping out the new Android L update to all of its devices within 3 months and that is good news for HTC users. HTC too has benefited by launching fewer devices this year. Samsung that has been selling the most number of Android devices has disappointed when it comes to update speed. Samsung has been found wanting in taking advantage of the Play Store as well and considering it has the most number of devices; it is always behind schedule in implementing updates.LG is another brand that has taken close to 5 months for rolling out Kit Kat for most of its recent devices.